Hasegawa, A., J. Nakajima, S. Kita, T. Okada, T. Matsuzawa, and S.H. 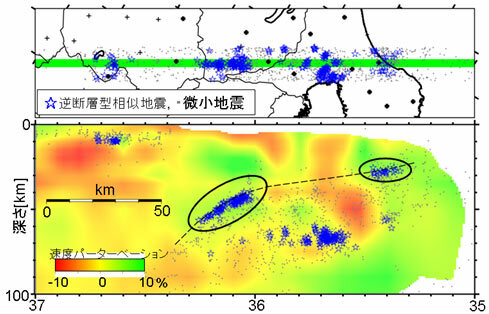 Kirby, Anomalous deepening of a belt of intraslab earthquakes in the Pacific slab crust under Kanto, central Japan: Possible anomalous thermal shielding, dehydration reactions, and seismicity caused by shallower cold slab material, Geophys. Res. Lett., 34, doi:10.1029/2007GL029616, 2007. 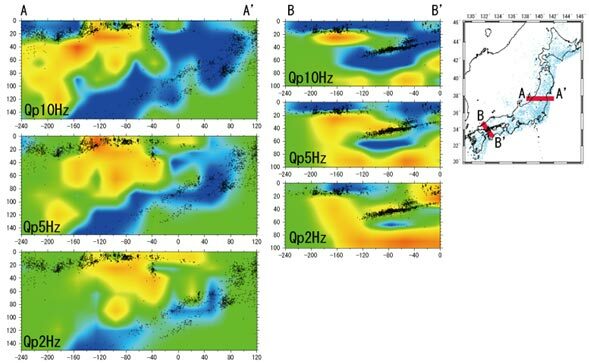 Kita, S., T. Okada, J. Nakajima, T. Matsuzawa, and A. Hasegawa, Existence of a seismic belt in the upper plane of the double seismic zone extending in the along-arc direction at depths of 70-100 km beneath NE Japan, Geophys. Res. Lett., 33, doi:10.1029/2006GL028239, 2006. 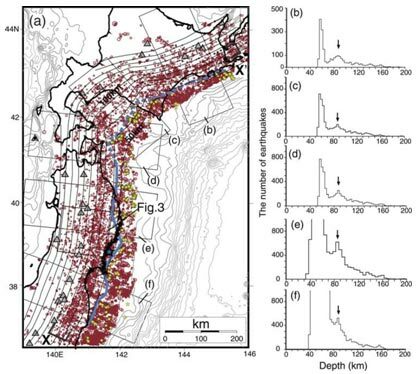 Nakajima, J., and A. Hasegawa, Anomalous low-velocity zone and linear alignment of seismicity along it in the subducted Pacific slab beneath Kanto, Japan: Reactivation of subducted fracture zone?, Geophys. Res. Lett., 33, doi:10.1029/2006GL026773, 2006. Shiomi, K., M.,Matsubara and K.,Obara, Configuration of Philippine Sea slab and local seismicity beneath central and southwest Japan, EOS, T21A-0390, 2006. 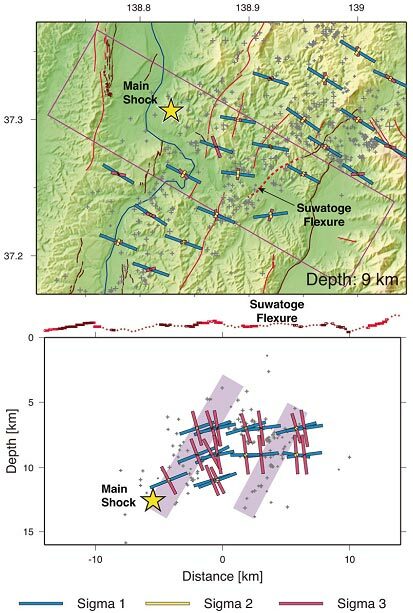 Yukutake, Y., Y. Iio, T. Shibutani, H. Katao, Estimation of the Stress Field in the Region of the 2000 Western Tottori Earthquake -Using Numerous Aftershock Focal Mechanisms-, J. Geophys. Res., in press, 2007.